75AQP is an exceptionally high-quality waterproof paper with high sanding performance. Superb sanding power and long life are promised. 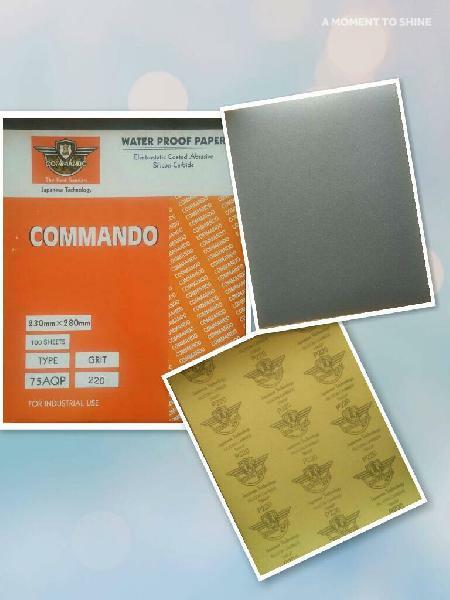 This paper is capable of both wet and dry sanding with minimum power applied. Suitable for various applications. Ideal for sanding metals, woods, plastics, wall putty and ceramic materials. Size- 9" x 11" or 280mm x 230mm. Kraft Paper Backing in Yellow colour. Packing 100 pcs air tight cover pack, 1000pcs master carton.